We've been having a field day expanding the Dockwa marina network in the Chesapeake Bay this summer! Check out these eight tech-savvy marinas that have recently come on board, from Tracys Landing down to Norfolk. We've said it before and we'll say it again: Every marina you see on the Dockwa platform is helping us revolutionize boating. These marinas are the leaders in the industry who have caught on quickly that we're really onto something here, and jumped in feet-first. We think this type of leadership should be rewarded! If you love the freedom of booking slips and moorings on your phone and computer, let the world know: Share the links below with your friends on Facebook to help these modern marinas get the word out. 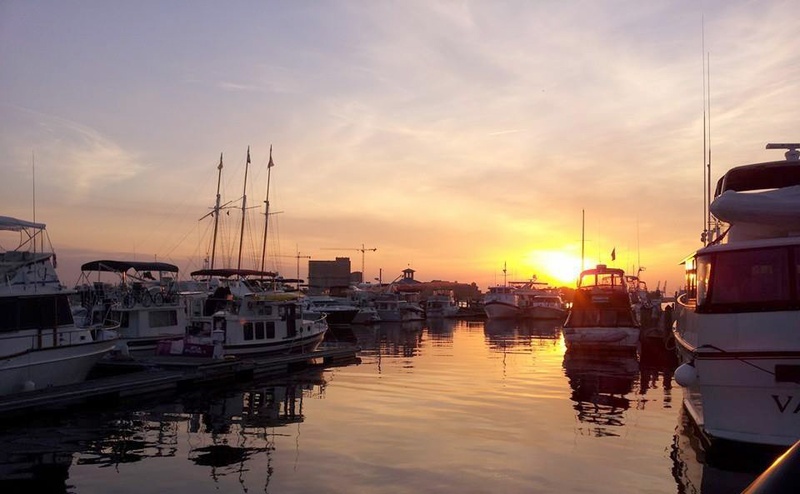 And of course, book a slip or mooring at these eight marinas that recently joined the platform. In recent weeks we were delighted to welcome aboard Herrington Harbour North in Tracys Landing, Maryland, which boasts 600 slips and plans fun events for guests to join almost every night of the week. 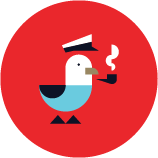 From one ActiveCaptain boater: "Would give a 6 star review if possible." If this place isn't the most relaxing, upscale marina on the Bay I'd love to know what is. Getting the rezzy through Dockwa was easy (they confirmed within an hour or so), answered the radio call and sent a dock hand down to guide me to my slip. Slips and piers well maintained (if a little tight to navigate in the wind). The pool was fantastic; the restaurant was excellent; the beach with free SUP and kayaks was an extra benefit. And they welcome dogs. Just wish they would've allowed them at the outdoor dining area. Everyone was friendly and helpful, too. We will definitely be back! Thirty-eight miles south as the crow flies from North Beach, you'll find Spring Cove Marina in Solomons, Maryland. 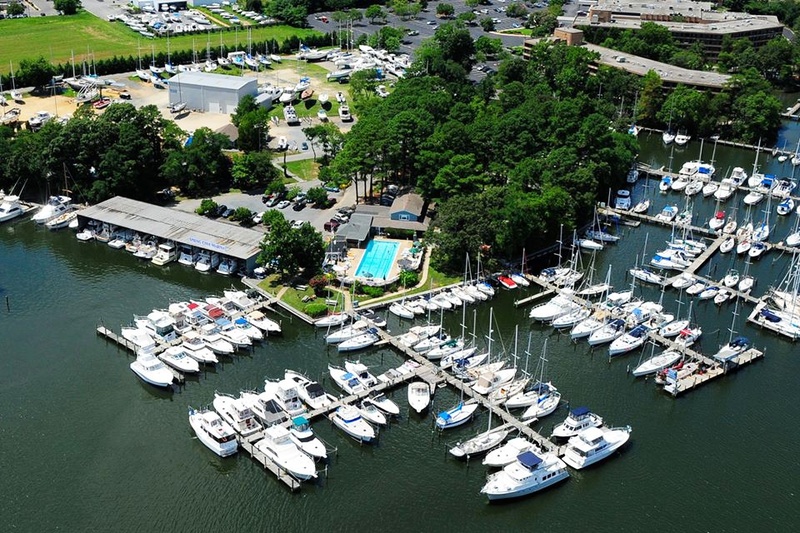 When you book here you're part of the community at one of the best marinas on the Chesapeake Bay. Spread out over 10 acres and 1,800 feet of shoreline, your boat will be safe and sound in these well-protected slips. Spring Cove has a fantastic reputation, but you could be the first to officially review it on ActiveCaptain after you complete your stay! Hey now, Oxford! 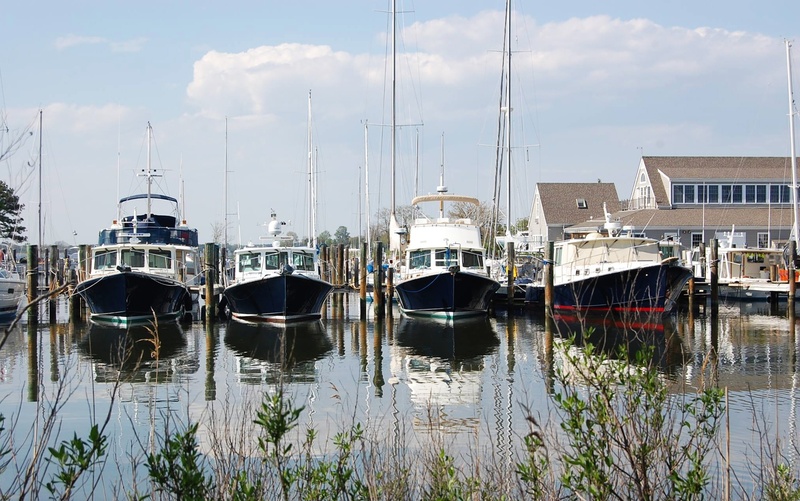 This Maryland town with a population of under 1,000 packs a punch, with three new marinas coming on board at once. Plan your Oxford floatplan and collect all three: visit Campbell's Boatyard at Jack's Point, which has recently installed new floating docks and fixed finger piers with dolphin pilings, Campbell's Town Creek Boatyard, and Campbell's Bachelor Point Yacht Company. This is a working boatyard, one of three Campbell yards. This yard is where Tom builds the Campbell Custom Yachts; New England lobster boat hulls beautifully finished as cruising yachts. The facilities are in excellent shape. It is impeccably kept. The bath rooms are neat, clean and new! No pool or other resort amenities. But it is neat, clean and quiet. Short walk to Latitude 38 for drinks and dinner. The owners live on site and are wonderful hosts. Good value. Fast internet. Interesting to watch the tugs and local fishermen working on Sunset Creek. Barking Dog is very casual with dressed up burgers, dogs and interesting beer list located at the end of the boat yard. Convenient to downtown Hampton with a nice walk through a nice neighborhood and close to Food Lion and laundromat. There is a washer and dryer on premise. Patrick Hardware a find. Downtown ice cream store and Seafood Kitchen are treats. Very helpful staff. While it's not fancy, it is very reasonable and comfortable option in Hampton. Easy access. We'll be back. Across the bridge to Norfolk, Waterside Marina has fantastic staff and floating docks within a few minutes walk to downtown. Ended up here for 20 days due to a dropped valve on our port engine. John, the Dockmaster, was most helpful in our extended stay. We highly recommend Carter Machinery, Co. in nearby Chesapeake. The mechanics were there the day we called! They were able to complete all the repairs without a haul-out in a boatyard. The employees are some of the best in the industry. We later found, that Norfolk has much to offer in the way of transportation around the city and many museums and parks are free. There was something to do every day! We extended our stay to witness the fabulous July 4th festivities. 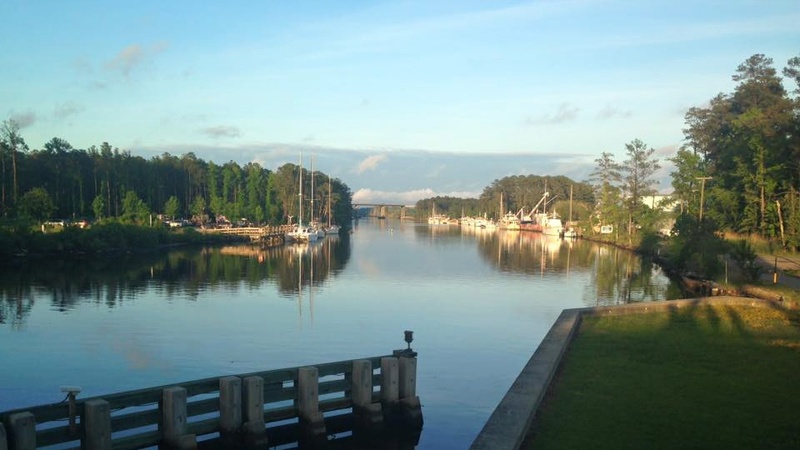 Sail down down the Southern Branch Elizabeth River to Chesapeake, Virginia, to Atlantic Yacht Basin for provisions, fun ashore, and of course a secure and lovely stay on the docks for just $1.25/ft. AYB has been commended by ActiveCaptain boaters for their honest and attentive customer service, great fuel prices, proximity to town, and protected docks. Your feedback goes a long way! Some of the marinas above came on board after boaters recommended us to them, or got in touch with us to ask us to take the lead.